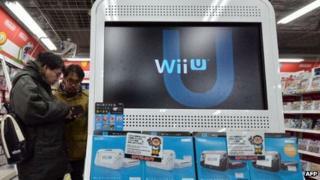 Shares of Japan's Nintendo have surged after China temporarily lifted a sales ban on foreign video games consoles. The government has said it will allow foreign firms to make consoles in the recently-launched Shanghai free trade zone and sell them across the country. Nintendo's shares jumped 11% to 15,850 yen on the Tokyo Stock Exchange. China banned gaming consoles in 2000, citing their adverse effect on the mental health of young people. The lifting of the ban opens up a potentially lucrative market for console makers. According to data released at the annual China games industry conference in December, China's video game market grew 38% in 2013, from the previous year, to 83bn yuan ($13bn; £8bn). However, the ban on gaming consoles meant the market was dominated by PC games - which accounted for nearly two-thirds of the market. Analysts have said the Chinese games console market could be worth tens of billions of dollars.